A practicing attorney since 1994, in 2001 Thomas founded The Law Office of Thomas E. Townsley, LLC in Lake Charles, Louisiana dedicating his entire practice to personal injury cases. 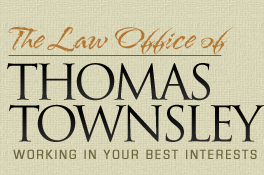 Thomas Townsley of The Law Office of Thomas E. Townsley, LLC strives everyday to help people whose lives have been affected by the negligent act of anothera doctor, employer, driver, landlord or manufacturer. Mr. Townsley always tries to settle your case out of court first but will not hesitate to take a case to trial if it is in your best interest. He aggressively fights for your rights and interests from your free initial consultation until the resolution of your legal matter. Mr. Townsley relentlessly pursues the needed compensation for: -Medical expenses -Lost wages and future wages -Loss of companionship -Pain and suffering -Future medical treatment -Property damage -Funeral expenses -Punitive damages Mr. Townsley provides focused and experienced representation in the following areas: -18-wheeler accidents -Auto accidents -Motorcycle accidents -Offshore, marine & maritime accidents -Burns and explosions -Industrial accidents -Workers compensation -Social Security Disability -Products liability -Premises liability -Dog bites Successfully serving clients in Louisiana Mr. Townsley has earned the respect of clients and the Louisiana legal community. 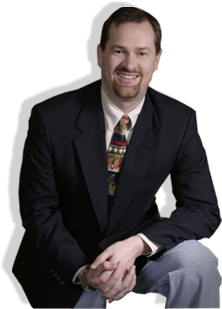 He is honored that existing clients and other Lake Charles personal injury lawyers refer new clients. Mr. Townsley understands that he has to earn your referrals every day. The Law Office of Thomas E. Townsley, LLC successfully serves clients in Lake Charles, Louisiana while also focusing on Calcasieu Parish, Cameron Parish, Allen Parish, Jefferson Davis Parish, Beauregard Parish and Vernon Parish. In Louisiana, counties are called parishes. Thomas E. Townsley provides diligent representation to individuals and their family members who suffer a physical, financial or emotional injury due to the negligent actions of others.